THE GOVERNMENT is set to extend the Virgin West Coast franchise beyond 2014 as part of a plan to kickstart the stalled franchising programme, it is being claimed today. There is speculation that East Coast will be given priority so that it can be returned to the private sector before the next election. Ministers are expected to reveal details of the next stage of the franchising programme before Easter, following the collapse of the West Coast competition last October. The Department for Transport has been considering the recommendations of the Brown Review, which said that franchising was 'not broken' and should be restarted as soon as possible. 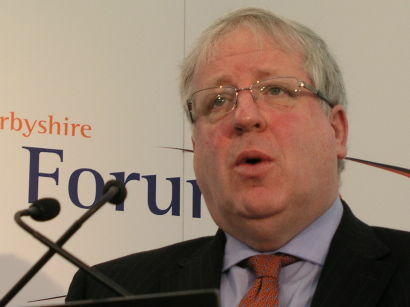 After the provisional award of West Coast to FirstGroup was cancelled in October, following the revelation of 'major flaws' in the way bids had been assessed, the transport secretary Patrick McLoughlin placed all outstanding franchise competitions on hold and negotiated an interim contract with the incumbent Intercity West Coast operator Virgin, to last up to 23 months. In theory First Great Western, First Capital Connect, c2c and East Coast were all due to be replaced this year, but the Great Western competition has also now been cancelled, while talks are underway with all the operators on emergency extensions to these contracts to give the Department for Transport time to recover. Ministers are now expected to concentrate on returning state-run East Coast to the private sector before the next general election in May 2015, having already said that the operation will be offered as a 'going concern' rather than expecting bidders to create new legal entities as potential operating companies. This procedure should simplify some aspects of the process, allowing some existing arrangements such as employment contracts to continue. Apart from the possibility of a further extension to the emergency contract which Virgin currently has until November next year at the latest, the future Thameslink operation is expected to take the form of a management contract lasting seven or eight years, rather than a conventional franchise. The structure of the next Great Western contract is also set to be revised after the last competition was cancelled. The four bidders for Great Western are in discussions with the DfT over an estimated £40 million which they spent jointly on bidding in the scrapped competition. The Department had refused to refund the money and legal action remains a possibility, but Whitehall observers are suggesting that a deal will be struck.